Cornerstone Appraisal & Restoration Services welcomes David Porter to provide project management for insurance restoration and construction services for homeowners and insurance companies serving New Jersey and Eastern PA.
PRINCETON, NJ – Cornerstone Appraisal & Restoration Services, LLC welcomes David Porter as construction and restoration project manager for New Jersey and Eastern PA. Porter has extensive experience in insurance restoration construction as well as team management and job site management. Porter has hands-on construction experience which is leveraged to focus on the critical components of accurate estimating, site quality control and safety. Porter is proficient in Xactimate insurance estimating software. Porter holds certifications in Fire, Water Restoration, Applied Structural Drying and is an EPA Lead Certified Renovator. 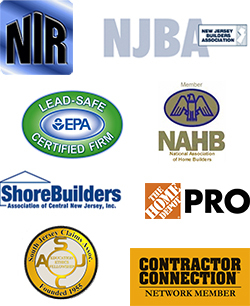 Founded in 1993, Cornerstone Appraisal & Restoration Services, LLC is licensed for construction in New Jersey and Pennsylvania (Licensed and insured NJ#13VH01397100, PA031647), offering over 80 years combined experience in construction and restoration. Cornerstone is recognized for quality workmanship and is listed as “preferred contractors” for many major Insurance Companies. Cornerstone Restoration is considered an innovative and leading company in the areas of property damage mitigation, reconstruction and remodeling, serving residential and commercial customers. The Cornerstone team functions as strategic loss managers for water damage, fire damage, storm damage, flood damage, and ice & snow damage. Our qualified and professionally affiliated team follows today’s recommended and required procedures as well as Cornerstone’s process, and leverages quality resources.